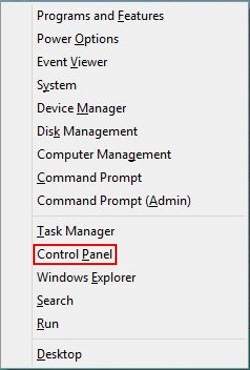 How Can I Limit My Child's PC Usage And Access on Windows 8/8.1? 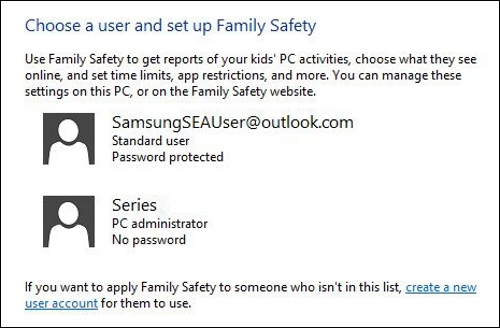 Microsoft offers a setting called Family Safety in their Windows 8 OS. Family Safety helps you set limits on the amount of time your child can use the PC, as well as the websites, apps, and games they can use and when they can use them. The instructions provided below will help you access the Family Safety window and turn this setting on. If you would like further details about this feature or the various settings available, click here to go to Microsoft's support article. • A User Account for your child. • To be signed in to the Administrator Account. 1. Press the Windows Key and X key. 2. Select Control Panel from the menu. 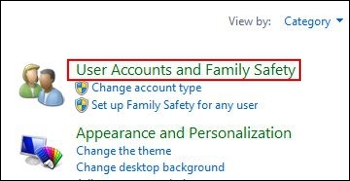 3.Click on 'User Accounts and Family Safety'. If you only see 'Family Safety', click it and skip to step 5. 5. Select the User you wish to set Family Safety limits on. 6. Click on the circle to the left of 'On, enforce current settings'. 7. 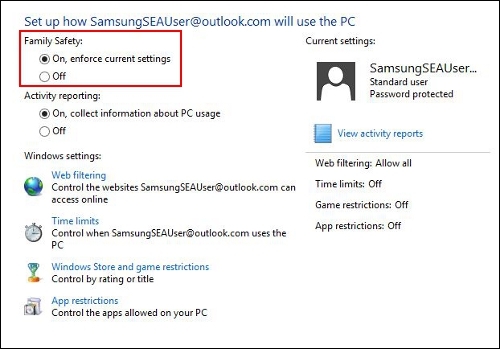 If you would like to receive information on PC usage, select 'On, collect information about PC usage' under Actively reporting.